Artificial Intelligence and Machine Learning (AI/ML) has been a big topic in the last couple years and has become a catch phrase in investment management. So, what is it? AI is the science of simulating human intelligence, while ML refers to the methods used to automate the building of models. 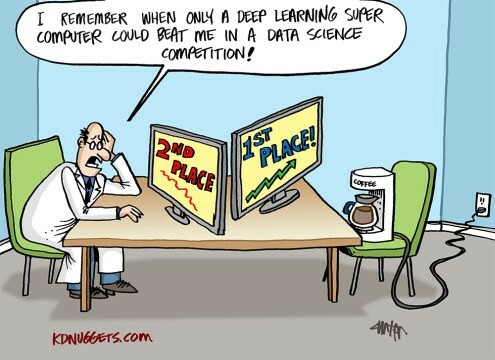 As such ML is really a technique to for realizing AI. What we are really talking about is algorithms to solve problems and learn from data. "Big Data" and the ability to use technology to make sense of it, is at the heart of this topic. Many believe that these two things, AI/ML, along with Big Data, are "reshaping" the investment landscape. It has been an area where media and investors alike can tie the excitement around technology and what the smart folks in Silicon valley are doing, to the traditional world of investing. Applying what Google, Amazon and Netflix do in predicting your needs and interests, has utility in the investment world. For fund managers, it has been an area many felt they need to get up to speed on, develop further, or just talk about. These are welcome changes in a lot of ways. For example, moving investment decision making in asset allocation away from the human emotions of individuals or advisors makes sense, as a growing amount of evidence shows. Looking for patterns, trends and persistence amidst noise is something a machine can do much more efficiently than a human, and this is beneficial to making sound decisions under uncertain conditions. Historically, a lot of weight was put on fund managers that had the best gut feel, and instincts. The new reality reflects that the majority of hedge fund pros now use some form of AI/ML, embracing technology to learn from the data within their investment decision process. At Auspice, like many other CTA's and “quant” managers, this is nothing new. Embracing technology and algorithms to sift through an ever expanding pile of data is standard fare. The difference now is that the amount and type of data is greater, the computing power is greater, and the algorithms looking to identify opportunities or patterns are also better - more complex, adaptive and smarter. The commonality? It takes people to program and manage the algorithms. People with experience in identifying ideas and opportunities and the ability to test these ideas using technology. Trading desks used to be full of traders on phones pointing at screens, now they are outnumbered by programmers and analysts working with ever more powerful tools. From idea generation to execution, managers like Auspice blend together proprietary trading experience with algorithmic research including AI/ML, with the goal of generating robust return drivers. Ideas are generated from human directed machine learning or direct observation. Note the human side has not completely disappeared…but it is being nicely enhanced by the application of these “new” technologies. For investors, this may be a new topic. However, for managers this path has been developing for a long time. Make sure your manager has the knowledge and experience to work with the tools that are available. For more about the Auspice CTA and commodity strategies and the potential portfolio benefits, please give us a call.